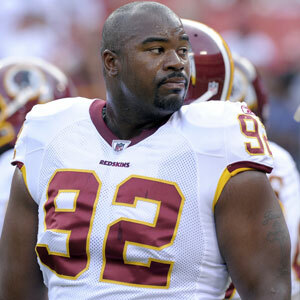 We’ll be creating a post on the big NFL trades tomorrow, but in the interim we discussed the Redskins’ decision to trade DT Albert Haynesworth to the Patriots. Here’s the post from National Football Authority. Mike Shanahan has done it again. The first-year Redskins head coach, whose well publicized battle of wills with DT Albert Haynesworth ended up costing the Redskins the services of their most dominant defensive player for two games (both three-point Redskins losses), is now taking on QB Donovan McNabb. Once again, Shanahan is using conditioning as the excuse. Shanahan yanked McNabb out of Sunday’s game with the Lions in the game’s final two minutes with the Redskins trailing by six. Backup Rex Grossman was sacked on the next play from scrimmage, and Ndamukong Suh recovered and returned the ball for a game-clinching touchdown. Obviously, Shanahan’s gambit didn’t win the Redskins the game, and it may well have cost the Redskins their chance. McNabb’s play this year, and in this game, have not been spectacular. Before he was pulled, the Redskins’ previous two drives had ended with a McNabb interception and McNabb being sacked on a fourth-down play. McNabb was 17-of-30 for 210 yards with one touchdown and one pick against the Lions, and on the year he has just seven touchdowns with eight interceptions. He still throws perhaps the most effective deep ball in the league, but he’s completing just 57 percent of his passes, but there haven’t been nearly enough big plays. 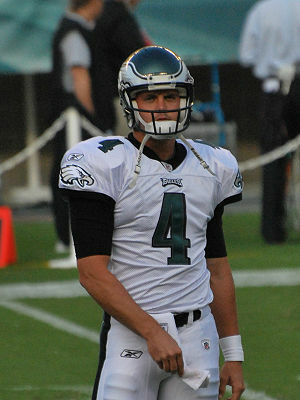 So it’s no surprise that his passer rating, 76, is 25th among qualifying quarterbacks. He hasn’t been good. But the Redskins have been better than last year. After going 4-12 last season, they sit at 4-4, and McNabb’s veteran presence has helped. He has provided enough stability to help the Redskins win some low-scoring games, and Washington has been close in just about every game this season. (Only one game didn’t come down to the final two minutes.) Shanahan is kidding himself if he thinks Grossman, who was renowned for his inconsistency and turnovers when he started for the Bears, can provide similar stability. Yes, Grossman has just as many Super Bowl appearances as McNabb, and he has two more seasons in offensive coordinator Kyle Shanahan’s offense, but while McNabb brings calm, Grossman brings chaos. So what is Shanahan’s end game? 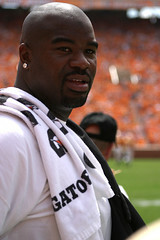 Is it a shot across the bow against McNabb for his conditioning or his preparation? Perhaps. 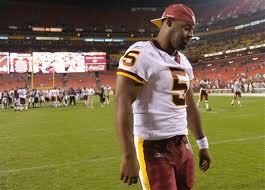 Is McNabb so banged up at this point that he really can’t run the two-minute offense well? We doubt it. Frankly, we wouldn’t be shocked if Shanahan is making a statement to make sure the team knows it’s his way or the highway, no matter who you are. That’s the tactic Shanahan used with Haynesworth, so we know it’s in his bag of tricks. The problem is that consolidating your power as a coach doesn’t equal wins. It equals ego, it equals office politics, but it doesn’t equal wins. And if Shanahan keeps playing these ego games and stabbing his best players in the back in the process, he’s going to end up losing a lot more than he wins.